Cleveland, Ohio – As we begin to age, the effects appear on our faces. Call them crow’s feet, laugh lines, or any number of names, but those lines can add unwanted years to our appearance. Not only that, they can make us look tired and even mad or angry. So how can we correct that and bring back some of our youth, without having to go under the knife? Botox may be the solution. You read about celebrities turning to it to regain their youthful looks, but more and more people of every background are turning to it. In fact, it’s the most common minimally invasive procedure performed in the U.S.
Botox is delivered through a very fine needle, and having it administered by a professional will ensure the correct muscles are targeted. The injections are not painful to receive, but some patients prefer to receive topical local anesthetic at the injection area before receiving the shot. There are other injectable fillers, referred to as dermal fillers, that can also restore a youthful look to your face. These fillers can plump up your lips, soften creases and wrinkles and enhance the shallow contours aging can create. Some people refer to the combination of dermal fillers and Botox as “liquid facelifts” because they can give patients some of the benefits a regular face lift can, without having to undergo surgery. Treatments such as Botox and fillers can give more immediate results than surgery can, and without the downtime. Depending on the goals you’d like to achieve, Botox and dermal fillers may be used in conjunction with one another. However, they aren’t permanent and to maintain the look, they must be repeated. Many people find this worthwhile and return regularly for injections to maintain their appearance. But Dr. Green cautions that people turning to Botox and fillers to gain a more youthful appearance should be sure they visit a well-respected plastic surgeon in order to achieve the results they desire. Facelifts reshape deep facial structures and remove extra skin tissue to provide a youthful appearance. Lax and saggy skin tissue is most often found in the lower half of the face and without surgery, nothing can be done to shrink it significantly. The skin must be repositioned, removed and repaired. A facelift and other procedures can help patients who have deep under-eye creases, deep forehead creases, drooping eyebrows, lowered cheek pads, saggy skin along the jaw line, double chins and flabby or drooping jowls. 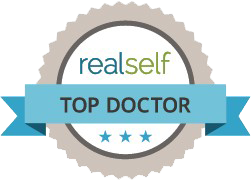 Injectables cannot achieve the degree of improvement or the lasting results that surgery can. 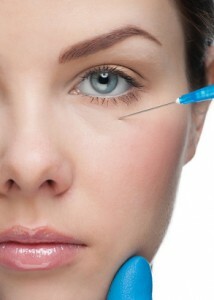 Botox is most used in the upper part of the face to alleviate wrinkles, frown lines and crow’s feet. The injections have no impact on the skin itself. There is no skin removal or lifting done to the patient’s face. Botox works well to relieve fine facial wrinkles, crow’s feet, laugh lines and furrows between eyebrows. While Botox can smooth the face, it cannot alleviate the effects of deep creases and wrinkles. It is also important to remember that everyone ages at a different pace, but after a certain age, nothing can produce the effects of an actual surgical facelift. And that’s where an experienced surgeon comes in to ensure the patient receives the best procedure to achieve their desired results. For younger patients who wish to turn back the hands of time, Botox and fillers in the hands of a skilled and experienced surgeon can accomplish just that. It is also important to see a trained surgeon to ensure you are receiving the correct filler for the area of the face you are looking to improve, and to ensure the right amount is used. To determine which procedure is the best for you, schedule a consultation with Dr. Green today. After a thorough exam, he can determine which procedure, or combination of procedures, will best help you bring back that youthful look for which you’ve been longing.